Editor’s Note: This article was published by the Deep Green Resistance News Service March 27, 2014. We’re republishing the entire Time is Short series, and we welcome your comments. His freedom fighter past has been quietly forgotten. Mainstream writers, intellectuals, and politicians prefer to focus on his life after prison. A simple Google search for Mandela is dominated by articles about tolerance and acceptance. But often lost in discussions of Mandela are the details about why he was sent to prison by the Apartheid Government. He rose to leadership in the African National Congress (ANC) against Apartheid and his role in the creation of its militant wing, the Umkhonto We Sizwe (MK) which means “Spear of the Nation” in Zulu and Xhosa. Mandela’s autobiography Long Walk to Freedom is very well written bringing the reader on Nelson’s journey with him. He dedicated his life to the struggle to create a South Africa where all are equal. For a detailed summary of Mandela’s path to militant resistance see the DGR Nelson Mandela Resistor Profile. Mandela came from a privileged background and was groomed to council the leaders of his tribe. He received an excellent ‘western’ education. He moved to Johannesburg and trained as a lawyer. In Johannesburg, he came into contact with ANC members. His radicalisation began as he attended ANC meetings and protests. In 1948, the Nationalist (Apartheid) Party won the general election and formed a government that remained in power until 1994. Following the election, the ANC increased activities resulting in deaths at protests by the police. In response, the government introduced legislation that steadily increased the oppression on Africans in South Africa. The ANC National Executive including Mandela discussed the necessity for more violent tactics in the early 1950s but it was decided the time was not yet right. Mandela consistently pushed the ANC to consider using violent tactics. During the forced eviction of Sophiatown in 1953, Nelson gave a speech. As I condemned the government for its ruthlessness and lawlessness, I overstepped the line: I said that the time for passive resistance had ended, that non-violence was a useless strategy and could never overturn a white minority regime bent on retaining its power at any cost. At the end of the day, I said, violence was the only weapon that would destroy apartheid and we must be prepared, in the near future, to use that weapon. This is a lesson that should be learned for the current resistance to the destruction of our world. The current strategy of non-violence in the environmental movement is simply ineffective. At the meeting I argued that the state had given us no alternative to violence. I said it was wrong and immoral to subject our people to armed attacks by the state without offering them some kind of alternative. I mentioned again that people on their own had taken up arms. Violence would begin whether we initiated it or not. Would it not be better to guide this violence ourselves, according to principles where we saved lives by attacking symbols of oppression, and not people? If we did not take the lead now, I said, we would soon be latecomers and followers to a movement we did not control. The parallels with the modern environmental movement’s commitment to non-violence over the last fifty years are uncanny. The military organisation was named Umkhonto we Sizwe (The Spear of the Nation) or MK for short. Mandela, now underground hiding from the authorities, formed the high command and started recruiting people with relevant knowledge and experience. The mandate was to wage acts of violence against the state. At this point, precisely what form those acts would take was yet to be decided. The intention was to begin with acts least violent to individuals but more damaging to the state. 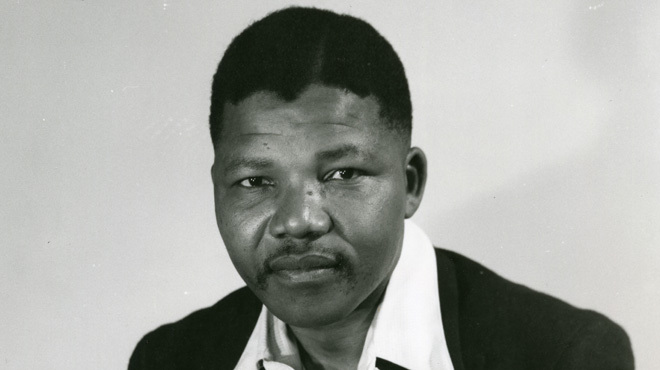 Mandela began reading and talking to experts especially on guerrilla warfare. In June 1961, Mandela released a letter to the press explaining he continued to fight the state and encouraged everyone to do the same. In October 1961, Mandela moved to Liliesleaf Farm in Rivonia, where the Umkhonto we Sizwe constitution was drafted. In planning the direction and form that MK would take, we considered four types of violent activities: sabotage, guerrilla warfare, terrorism and open revolution. For a small and fledgling army, open revolution was inconceivable. Terrorism inevitably reflected poorly on those who used it, undermining any public support it might otherwise garner. Guerrilla warfare was a possibility, but since the ANC had been reluctant to embrace violence at all, it made sense to start with the form of violence that inflicted the least harm against individuals: sabotage. Because Sabotage did not involve loss of life, it offered the best hope for reconciliation among the races afterwards. We did not want to start a blood-feud between white and black. Animosity between Afrikaner and Englishman was still sharp fifty years after the Anglo-Boer war; what would race relations be like between white and black if we provoked a civil war? Sabotage had the added virtue of requiring the least manpower. Our strategy was to make selective forays against military installation, power plants, telephone lines and transportation links; targets that would not only hamper the military effectiveness of the state, but frighten National Party supporters, scare away foreign capital, and weaken the economy. This we hoped would bring the government to the bargaining table. Strict instructions were given to members of MK that we would countenance no loss of life. But if sabotage did not produce the results we wanted, we were prepared to move on to the next stage: guerrilla warfare and terrorism. DGR is following a similar strategy in the hope that we can transition to a truly sustainable society. We think that its unlikely that those in power will allow this. So phase four of the DGR strategy Decisive Ecological Warfare calls for decisive dismantling of all infrastructure. On December 16th 1961, MK carried out its first operation. “Homemade bombs were exploded at electric power stations and government offices in Johannesburgh, Port Elizabeth and Durban. On the same day, thousands of leaflets were circulated around the country announcing the birth of Umkhonto we Sizwe. The attacks took the government by surprise and “shocked white South Africans into the realization that they were sitting on top of a volcano”. Black South Africans now knew that the ANC was no longer a passive resistance organisation. A second attack was carried out on New Year’s Eve. Nelson was arrested in 1962 for inciting persons to strike illegally (during the 1961 stay-at-home campaign) and that of leaving the country without a valid passport. During this trial he gave his famous ‘Black man in a white court’ speech. The speech can be found here. Nelson was sentenced to five years in prison. In May 1963, Nelson and a number of other political prisoners were moved to Robben Island and forced to do long days of manual labour. Then in July 1963, Nelson and a number of other prisoners were back in court, now charged with sabotage. There had been a police raid at the MK Rivonia farm during a MK meeting where they had been discussing Operation Mayibuye, a plan for guerrilla warfare in South Africa. A number of documents about Operation Mayibuye were seized. What become known as the Rivonia Trial begin on October 9th, 1963 in Pretoria. Huge crowds of supporters gathered outside the court each day and the eleven accused could hear the singing and chanting. The Crown concluded its case at the end of February 1964, with the defence to respond in April. Right from the start we had made it clear that we intended to use the trial not as a test of the law but as a platform for our beliefs. We would not deny, for example, that we had been responsible for acts of sabotage. We would not deny that a group of us had turned away from non-violence. We were not concerned with getting off or lessening our punishment, but with making the trial strengthen the cause for which we were struggling – at whatever cost to ourselves. We would not defend ourselves in a legal sense so much as in a moral sense. We saw the trial as a continuation of the struggle by other means. Eight of the eleven, including Nelson were sentenced to life imprisonment on Robben Island. These eight had been expecting the death sentence. Nelson was released after 27 years in prison on February 11th, 1990. It is true that Mandela embraced non-violence upon his release from prison in 1990. But, he did this once he felt the disintegration of Apartheid was inevitable. Despite what the vast majority of media coverage would have us believe, a combined strategy of violence and non-violence were necessary to bring down Apartheid. DGR is committed to stopping the destruction of the world. We recognize that combined tactics are necessary. As Mandela did, we need a calm and sober assessment of the political situation. It is a situation that is murdering the world. We need to leave every tactic on the table whether it is violent or non-violent. There simply isn’t enough time to restrict ourselves to exclusively non-violent tactics. This entry was posted in People of Color & Anti-racism, Property & Material Destruction, Strategy & Analysis, White Supremacy and tagged Adam Herriott, DGR writing & analysis, Ecosabotage, History, Nonviolence, South Africa, Time Is Short, 15: Love does not imply pacifism on December 15, 2014 by DGR Colorado Plateau. We have had several months to reflect on the life and legacy of Nelson Mandela. Since his death, world leaders have attempted to coopt this legacy. It is especially interesting to see how many who once branded Mandela a terrorist are rushing to pay their respects. His freedom fighter past has been quietly forgotten. Mainstream writers, intellectuals, and politicians prefer to focus on his life after prison. A simple Google search for Mandela is dominated by articles about tolerance and acceptance.But often lost in discussions of Mandela are the details about why he was sent to prison by the Apartheid Government. He rose to leadership in the African National Congress (ANC) against Apartheid and his role in the creation of its militant wing, the Umkhonto We Sizwe (MK) which means “Spear of the Nation” in Zulu and Xhosa. Nelson was arrested in 1962 for inciting persons to strike illegally (during the 1961 stay-at-home campaign) and that of leaving the country without a valid passport. During this trial he gave his famous ‘Black man in a white court’ speech. The speech can be found herehttp://www.anc.org.za/show.php?id=3763. Nelson was sentenced to five years in prison. This entry was posted in People of Color & Anti-racism, Property & Material Destruction, Strategy & Analysis, White Supremacy and tagged Adam Herriott, DGR writing & analysis, Ecosabotage, History, Nonviolence, South Africa, Time Is Short, 15: Love does not imply pacifism on April 2, 2014 by DGR Editor.